Happy Tuesday! 4 days until the weekend (not like I'm counting or anything ; )...)! I wanted to share with you some tips that I've learned through my past races that help me get through those last 6.2 miles of a marathon (when everything is hurting and 6 miles seems really REALLY far). Today I have 6 easy miles on the schedule and will also be fitting in some strength training as well. I hope your Monday was great one and that you're equally excited that we're getting closer to the weekend. Tip #1: Stay positive. It's amazing how remaining positive really helps your spirit and makes those last 6 miles seem like nothing. I also love to dedicate those later miles to people in my life or a cause that is the reason why I'm running or racing. Tip #2: Keep getting those fluids and gels. I've had some races where I'm so tired and so over the race that I just don't care and through my past training with gels and fluids out the window. I've also had races where I've stayed positive and kept up with my hydration/fueling to the very last second of the race. Trust me, the latter is the way to go. It will give you a boost and make those last few miles seem DO-ABLE. Tip #3: Have parts in the race that you're looking forward to from miles 20-26.2. When I knew that I may seem my mom or the half-marathoners were joining our marathon course over these miles, it really helped push me to 'just get to where the courses merge' or 'just try to find my people'- It makes these later miles exciting and something to look forward to when you're just absolutely exhausted. 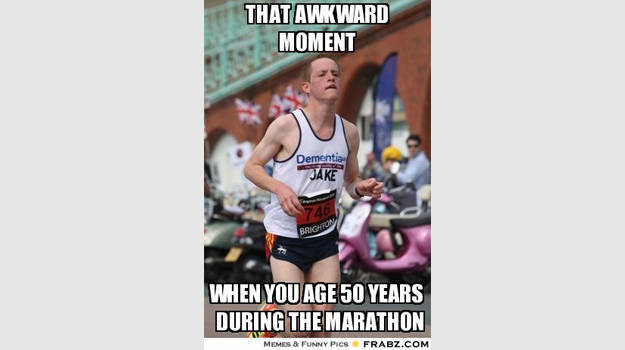 Tip #4: Have something to look forward to AFTER the race. Celebrating with a post-race rollercoaster definitely is one of my FAVORITE ways to celebrate running 26.2 miles. After the Disney Marathon, you better believe I was on ALL the rides that afternoon (including the Aerosmith Rock'n Rollercoaster). Tip #5: Never give into the pain. Do whatever you have to do to keep your mind focused on that finish line and the feeling that you'll get as they put the medal around your neck. It's like no other feeling when you cross a finish line leaving it all on the table and never giving into the pain in those later miles is key to ending in a positive mindset. 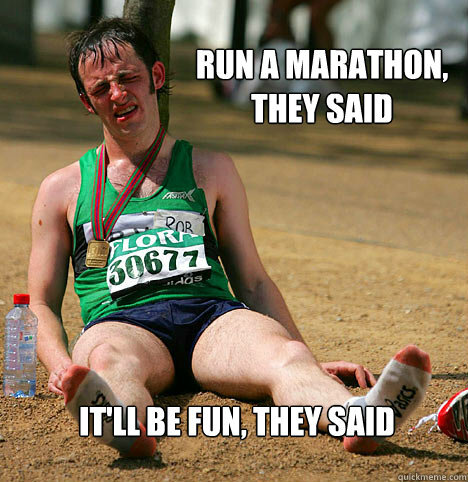 What keeps you going until the end of a marathon or hard race? What race are you training for this Spring? !